All the world's a stage, and all the men and women merely players. - Shakespeare. We have decided to do collab looks from time to time, sometimes with specific conditions, sometimes just simple words we have to work on. She chose the first one, Glossy. The goal for me was to do something completely different from what I could think of when I hear that word. Think I managed that pretty well. 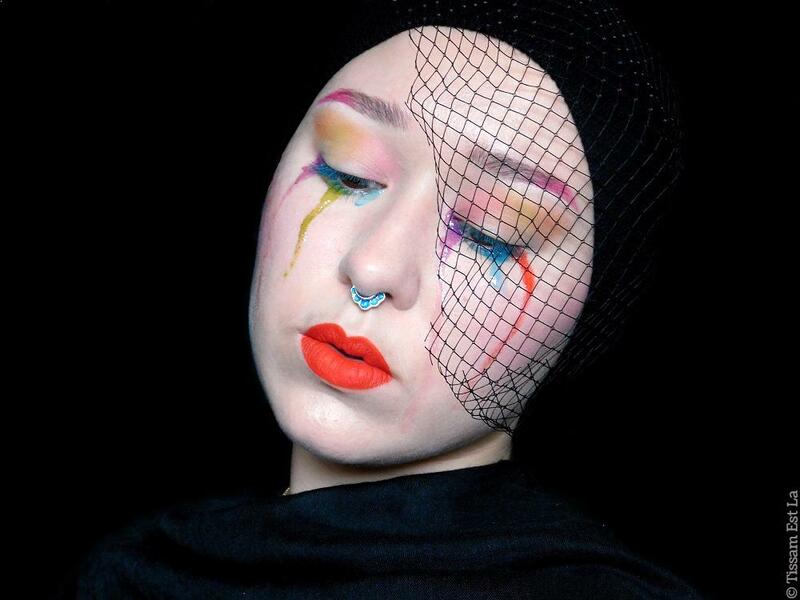 My makeup look is about a unicorn that would be sad, feeling down or something of the like. 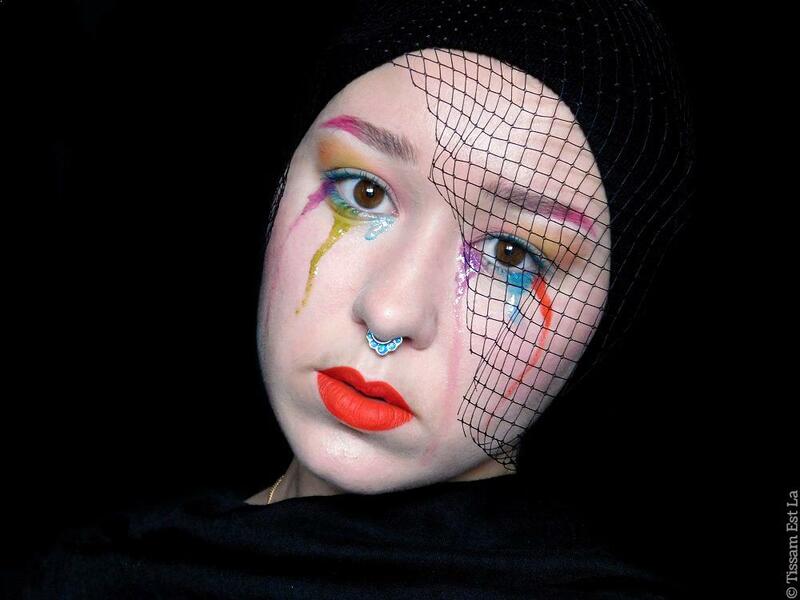 I thought of watercolor straight away and the glossy part of the look can be found on the tears. Funny thing, I really did cry while making this look because I put the (rather big) mascara wand in my eye and... it did help with the watercolor. Next challenge ? I chose it : Create a whole makeup look with only one lipstick (with the possibility to use a foundation, eyebrow products, a mascara and an eyeliner). Nous avons décidé de créer des maquillages en collab' de temps en temps, parfois avec des conditions spécifiques, parfois avec de simples mots autour desquels nous devons travailler. Elle a choisi le premier, Glossy. Pour moi, le but était de faire quelque chose de complètement différent de ce à quoi je pense quand j'entends ce mot. Je pense que j'y suis plutôt bien arrivée. 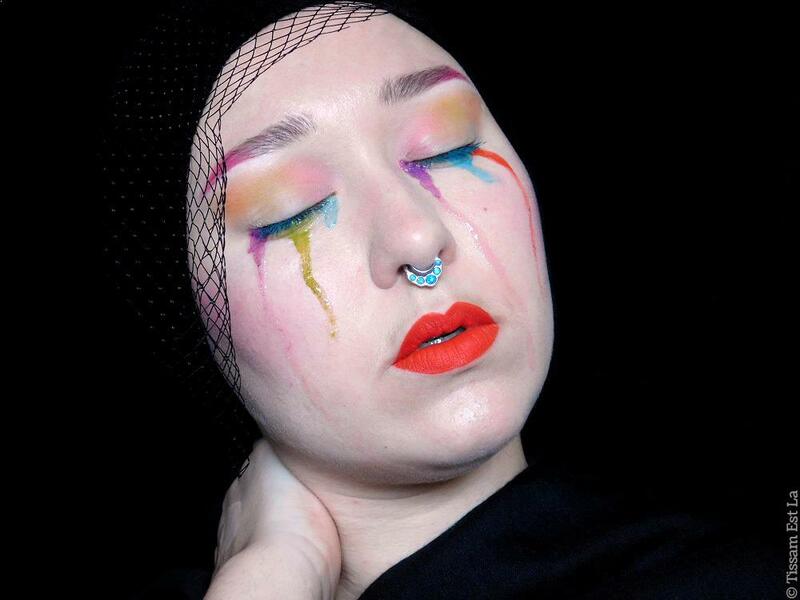 Mon maquillage tourne autour d'une licorne qui serait triste, quelque chose de la sorte. J'ai tout de suite pensé à l'aquarelle et le Glossy du thème se trouve simplement sur les larmes. Anecdote, j'ai vraiment pleuré en faisant ce maquillage parce que je me suis mis la (plutôt grosse) brosse du mascara dans l'oeil et... ça a aidé avec l'aquarelle. Prochain thème ? 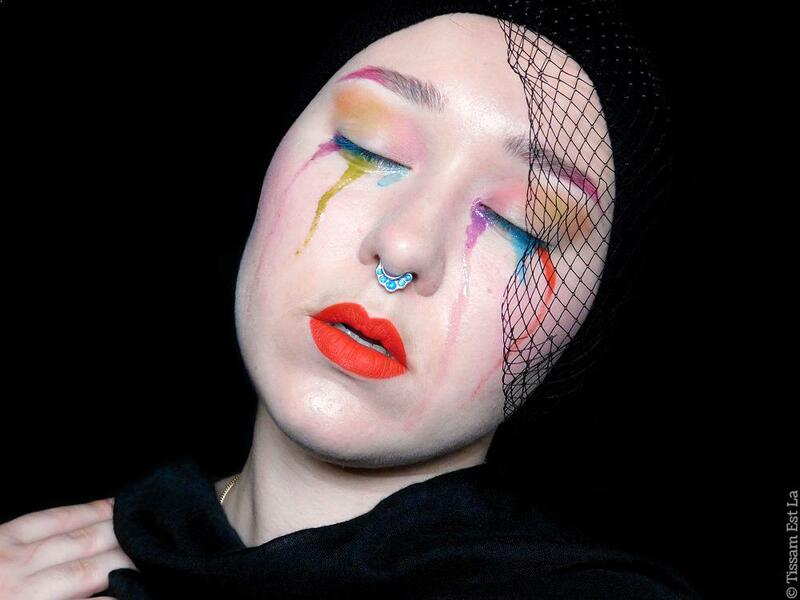 Je l'ai choisi : Créer un maquillage à partir d'un seul rouge à lèvres (possibilité d'utiliser le fond de teint, les produits à sourcils, le mascara et éventuellement le liner).